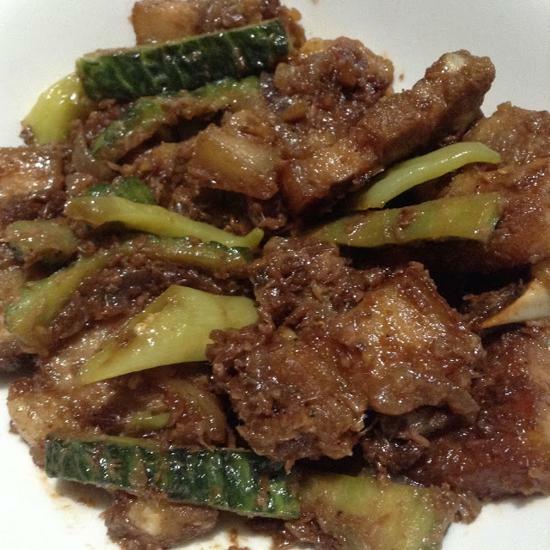 Pork Binagoongan is also one of the many Filipino favorite dishes. It is also called binagoongang baboy. It is very tasty and delicious too! You can try this pork binagoongan dish at your own home or as an additional recipe in your carenderia business. 1. Fry pork pieces in hot oil. 2. Sauté garlic, onions and tomatoes after pork has browned. 4. Add the rest of the ingredients and let simmer until pork is tender. If desired, let water reduce.